Russian state nuclear power company Rosatom plans to become the main contractor in a project to build a nuclear power plant in Finland, says Russian presidential aide Yury Ushakov. Rosatom and Finnish nuclear consortium Fennovoima, which holds a government permit for the construction of a nuclear power plant in Pyhäjoki, northwest Finland, are to sign a contract for the NPP construction by the end of 2013. The companies are also to agree a detailed project schedule, financing mechanisms and Rosatom’s share of 34 per cent. Fennovoima board Chairman Pekka Ottavainen had told a news conference in February that he expected shareholders, some 60 Finnish companies, to decide in October if they will continue with the project. According to Fennovoima’s draft project, the Hanhikivi-1 plant is to start producing electricity in 2024. 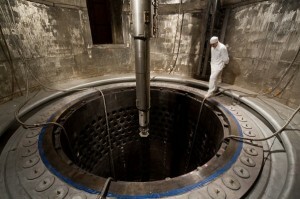 Fennovoima has previously named the French company Areva and Japan’s Toshiba as possible contractors for the plant. However, Fennovoima reportedly approached the Russian nuclear power corporation in February about the possibility of building its Pyhäjoki plant. Some of Fennovoima’s stakeholders, including Outokumpu and nickel miner Talvivaara, are struggling with poor profitability that has put strain on their finances. Fennovoima is planning a 1,200-megawatt reactor in Pyhajoki, estimated to cost $5-8 billion, to secure cheap energy for its owners including stainless steel maker Outokumpu and retailer Kesko. Finland currently operates four nuclear reactors in two power plants, all located on the shores of the Baltic Sea. While other European countries are trying to phase out nuclear power in the wake of Japan’s Fukushima nuclear disaster in 2011, Finland seems to be determined to build more NPPs in a bid to reduce carbon emissions and curb its dependence on electricity imports. Rosatom has also recruited Rolls-Royce to aid in its attempts to get its technology approved by British regulators after the British government and Rosatom signed a memorandum of understanding on cooperation in civil nuclear energy.